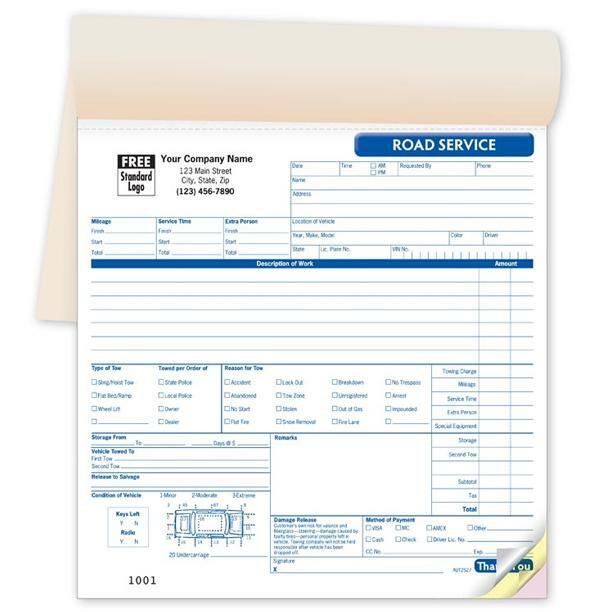 Towing service Receipt plays an important roll in the everyday operation of any towing or road service business. It helps you with record keeping and build trust with your customer. 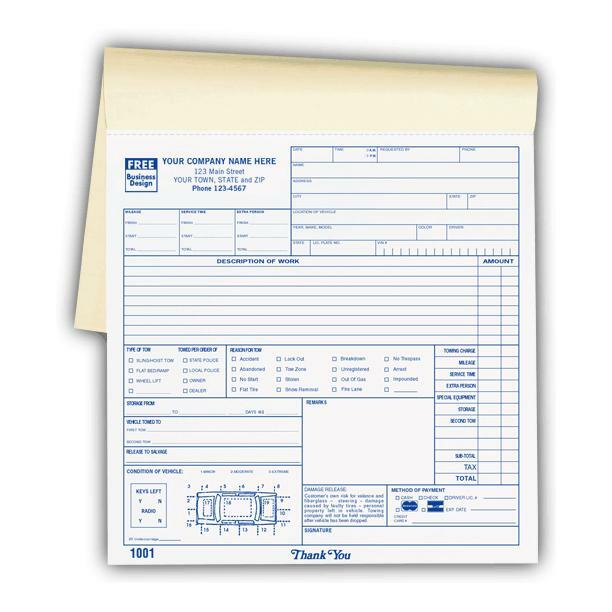 Print your receipts at DesignsnPrint and pay only a fraction of what you would pay elsewhere. This is a small compact form with a size of 5.5" x 8.5". Choose from 2, 3 and 4 parts. We use 20lb NCR carbonless paper stock with many ink color options. Each towing receipt is glued at the edge for easy separation. We can also make it in a book format with options for numbering and perforations. 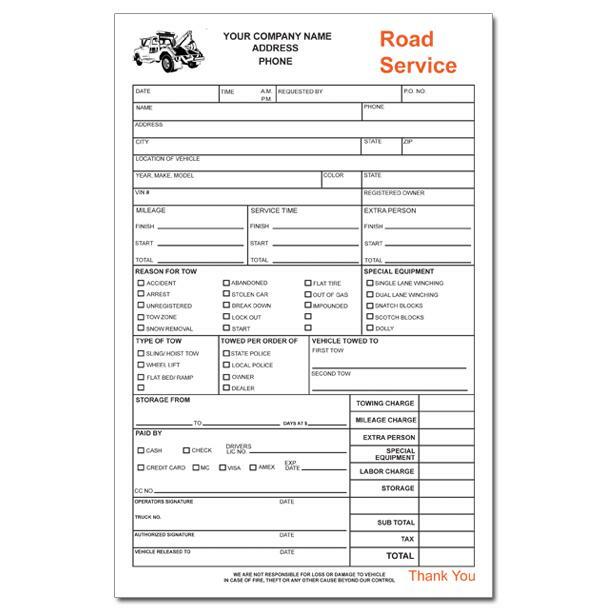 Tow truck drivers loves this form because it easy to use and it saves them time. 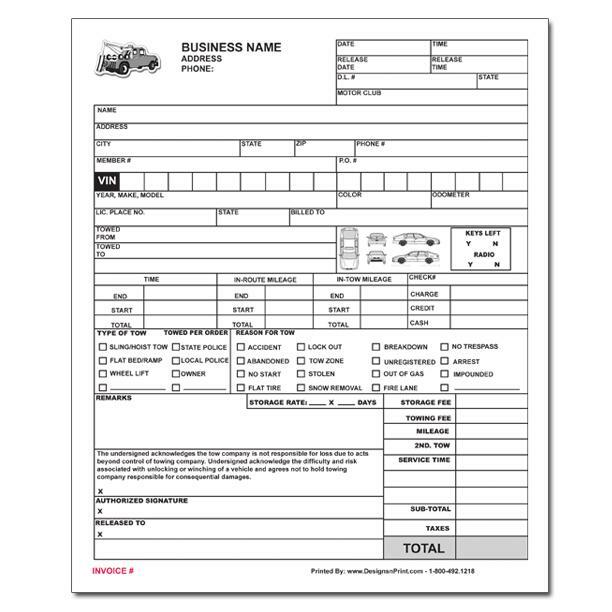 Also keep in mind that we can customize this template to fit your business. Give us a call today or order online and save! Yes. You can upload your own design or email it to us. We will still send a file for your approval before printing.